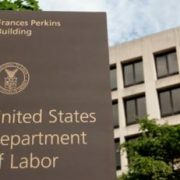 After a long delay, the U.S. Fifth Circuit Court of Appeals confirmed Thursday a March decision to strike down the Labor Department’s fiduciary rule. The court issued a mandate making effective the March 15 split decision that vacated the DOL regulation. The court majority held that the agency exceeded its authority in promulgating the rule, which would have required brokers to act in the best interests of their clients in retirement accounts. In the mandate, the court also said the Labor Department has to pay the financial industry plaintiffs the costs related to the appeal. The 5th Circuit overturned a decision by a Dallas federal court that had upheld the DOL rule, representing the first win by industry opponents in several lawsuits that were filed against the measure. The mandate was supposed to have been filed May 7. It was delayed for several weeks, as AARP and three states tried to intervene in the case to defend the rule after the Department of Justice, acting on behalf of the DOL, declined to appeal the March 15 decision. The Securities and Exchange Commission is now firmly in the lead on the effort to reform investment advice standards. The agency’s proposal, which would subject brokers to a best interest standard, is open for public comment until Aug. 7. 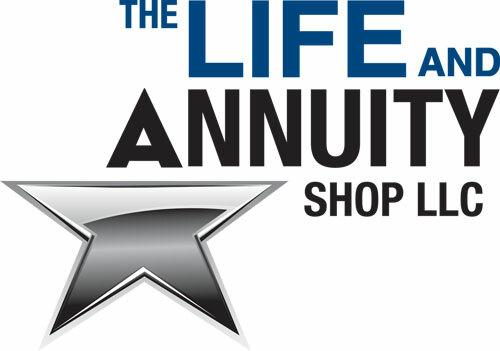 Could an annuity help soothe those anxious consumers? Americans seem more comfortable with market volatility, but recoil at the thought of a downturn that could devastate their retirement savings, a new survey has found. Can these contradictory strands really exist at the same time? “Yes, people can be both,” said Paul Kelash, vice president of Consumers Insights for Allianz, which published the 2018 Market Perceptions Study. “It is 100 percent true, especially for baby boomers that are close to or entering retirement,” said Scott Bishop, executive vice president, financial planning, at STA Wealth Management in Houston. • 35 percent of Americans said they are comfortable with market conditions and ready to invest – up from 26 percent in 2015. • 57 percent are willing to give up potential gains for a product that protects a portion of their retirement savings – up from 48 percent in 2015. • 67 percent said they would feel better about their retirement savings if they knew some of it was protected from market loss. “Volatility matters, and while we see some increasing comfort with volatility, it is driving a simmering anxiety in many Americans,” Kelash said. The nervousness is reflected in the CBOE Volatility Index, or VIX, a measure of market volatility, which is higher this year than last. In February, VIX spiked 115 percent in one day due a market selloff, though the index has since returned to levels closer to long-term norms. Market watchers say it’s not unusual for anxiety to peak in anticipation of a market drop following a period of long economic expansion – yet the expansion keeps on rolling with few immediate signs of slowing down. Financial planner Steve Branton with Mosaic Financial Partners in San Francisco even has an expression for it. He likens the contradictions to a “barbell” syndrome. That’s where the client, looking to capture gains before the window closes and the market falls, has too much exposure to individual stocks, but also keeps a cash hoard as a hedge against collapse. “The person is in the middle and on either side are uneven elements,” he said. Bishop uses the popular fear-and-greed analogy. 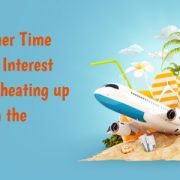 Greed makes investors not want to miss out on a “hot” market and overstay their market welcome, but fear makes them not want to lose out in a “cold” market so they sell too low or at the wrong time. Anxiety just below the surface is very real and the preference for a balanced financial product was even more pronounced for wealthier Americans, the Allianz survey found. • 78 percent of respondents with $200,000 or more in investable assets said it is important have some of their savings in a product that protects from market loss. • 68 percent said they are willing to give up some potential gains for a product that protects a portion of their retirement savings. The divide may explain the recent success of a new product category known as buffered or index-linked annuities. These annuities are built to offer some protection from downturns in exchange for limits on the gains. “As market volatility becomes a more constant part of our financial landscape, Americans are recognizing the value of options that provide both opportunity and a level of protection,” Kelash said. Some index-linked annuities come with a buffered structure where the insurer takes on a percent of market loss before the client assumes the rest. Others work in the opposite way where investors hold the risk up to a threshold before the insurance company assumes the loss beyond the threshold. Sales of index-linked VAs rose 25 percent last year to $9.2 billion compared with 2016.